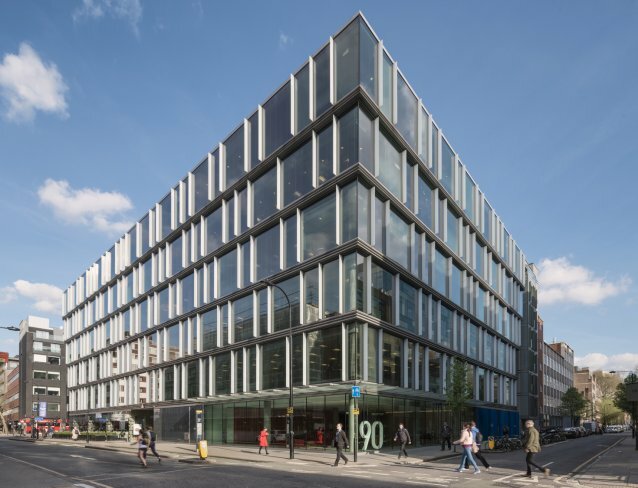 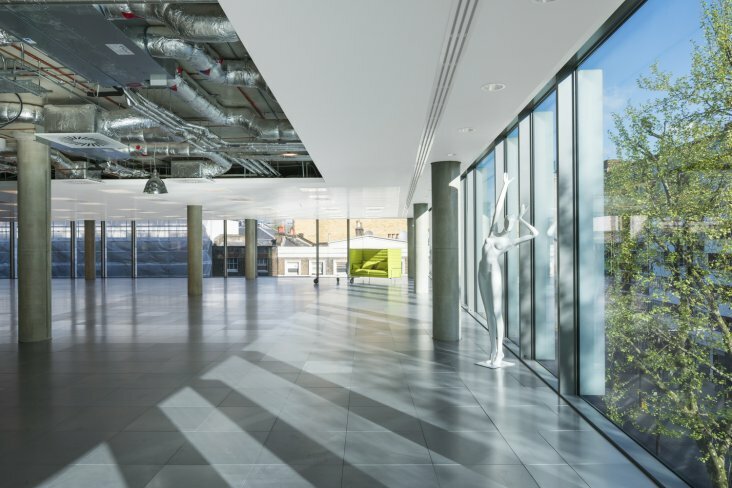 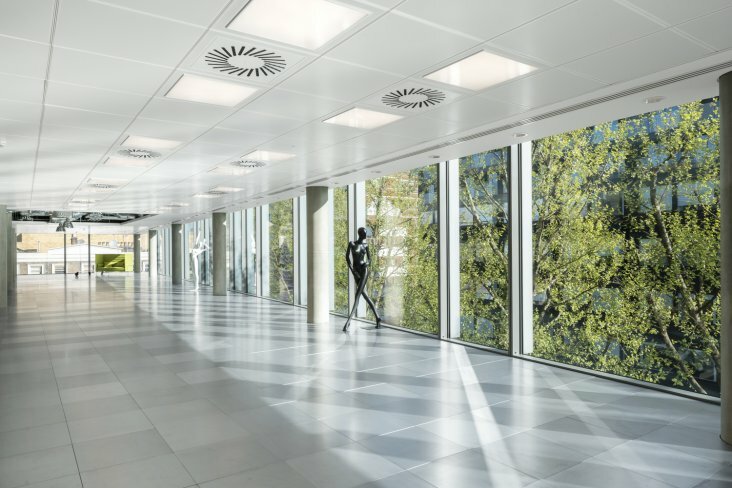 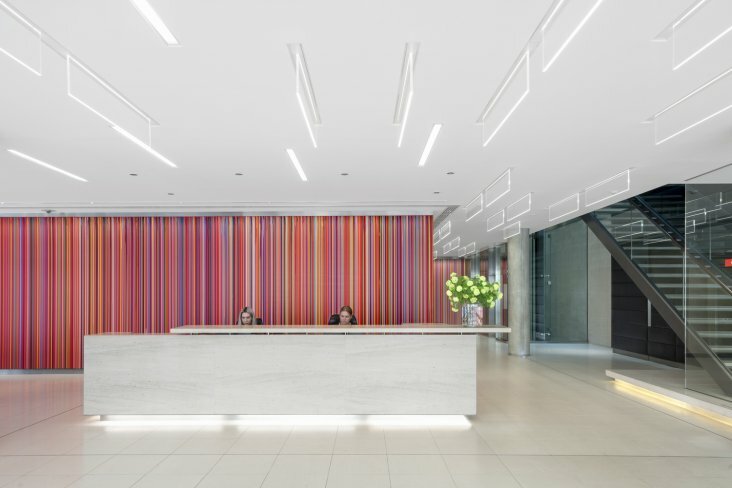 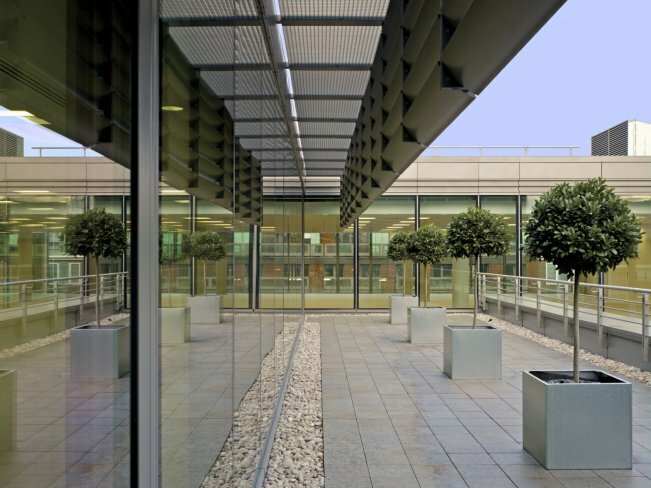 90 Whitfield Street is a striking addition to the West End, with spacious and light offices, totalling 100,000 sq ft, positioned around a central atrium. 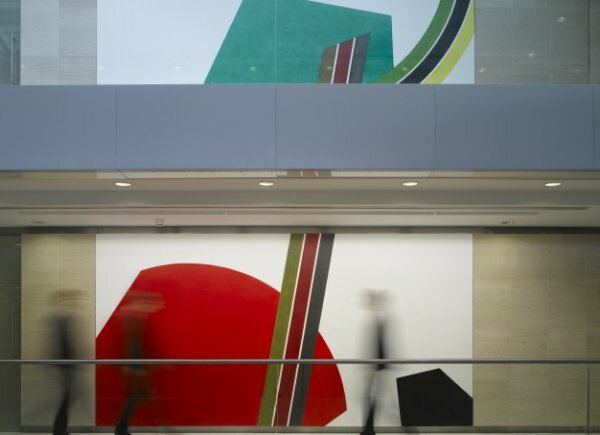 The reception features a 15 metre painting by Ian Davenport while a sculptural drawing by David Tremlett is the focal point in the atrium. 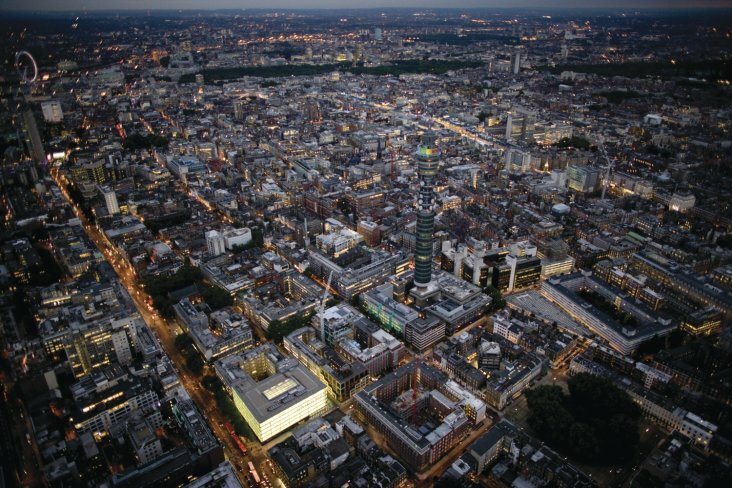 Six retail units front Tottenham Court Road, giving new life to this area, and there are six residential units on the Whitfield Street side.